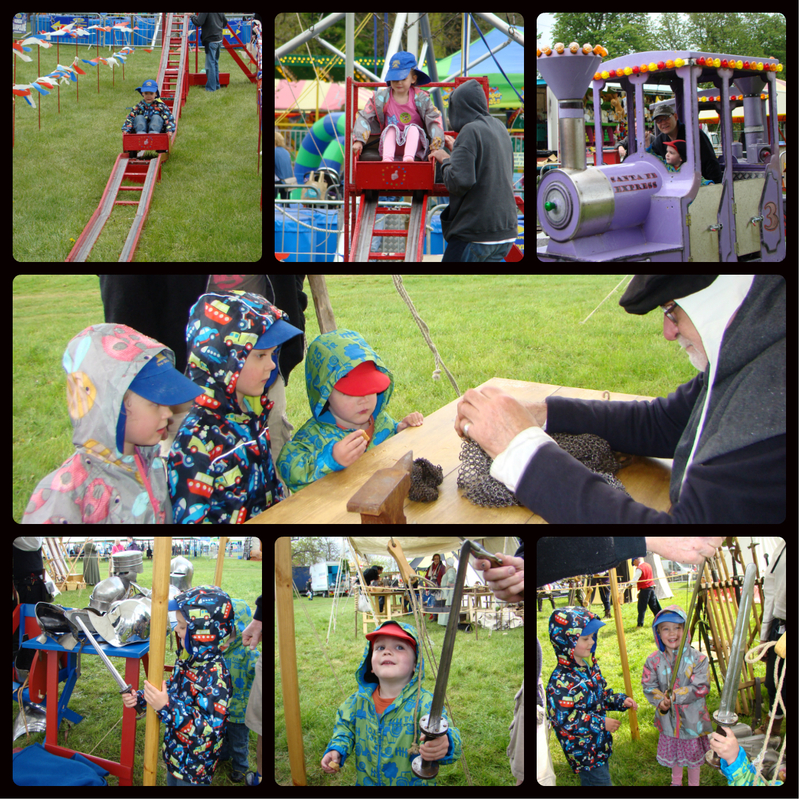 We went to the May Fayre last year and had a brilliant time so we have all been really looking forward to going again this year. 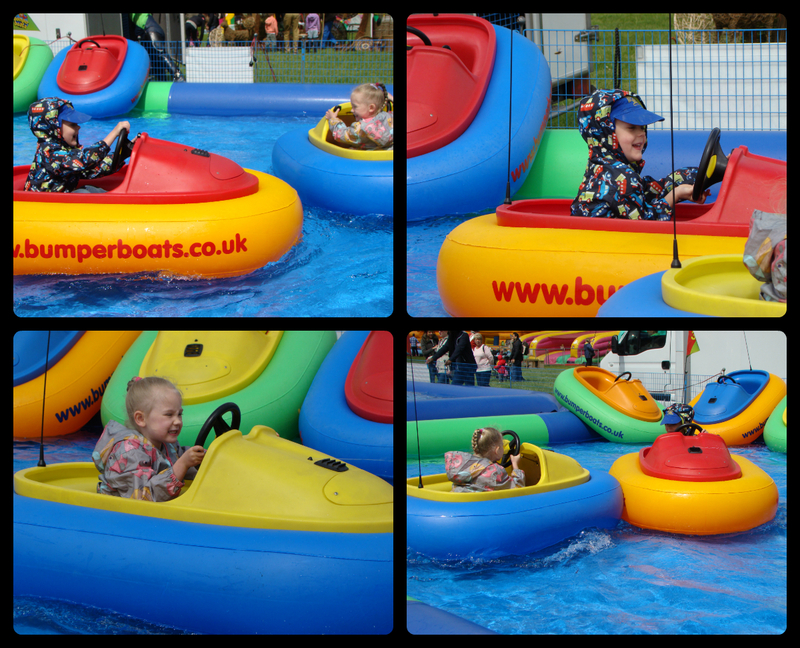 We arrived just before lunch and both Jasmine and Thomas immediately made a beeline for the Bumper Boats. They loved these last year and I think they loved them even more this year! I have to admit they do look fun and I think Gordon was a little bit jealous that he couldn’t go on! When the Bumper Boat ride had finished we went over to the Totally Falconry Marquee where they had several different owls and four Harris Hawks. I have always had a fascination with Birds of Prey and I think Jasmine is developing the same, although all the kids liked seeing the birds. As we were looking at the birds they started loading them into their boxes and I realised it was time for the Falconry display in the arena, and therefore lunch time for us! We found somewhere to sit for our picnic and watched the display. The highlight of the entire day for me was during this display. 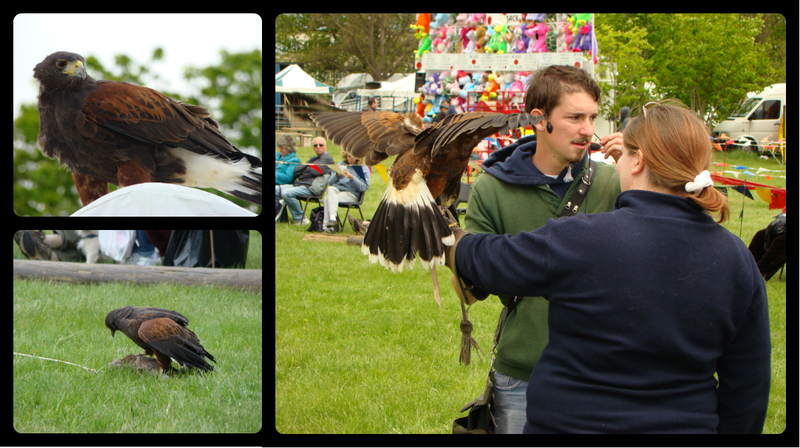 Towards the end they asked if anyone wanted to take part and I got to put on one of the gloves and hold a Harris Hawk! After lunch the kids managed to get on a ride each before it started raining – a lot – and we had to shelter for a while. We were just beginning to lose hope and thinking of going home and then just as quickly as it has started, it stopped and the sun came out again! Whilst we were sheltering I had spotted the Medieval Reenactment Village, so we headed over and spent some time chatting to the man making chainmail and the people with the swords, which the kids particularly liked! After several minutes chatting, the kids were desperate to go on another ride but, for reasons I will explain in a minute, we had run out of cash so decided on another favourite.. the rabbits! 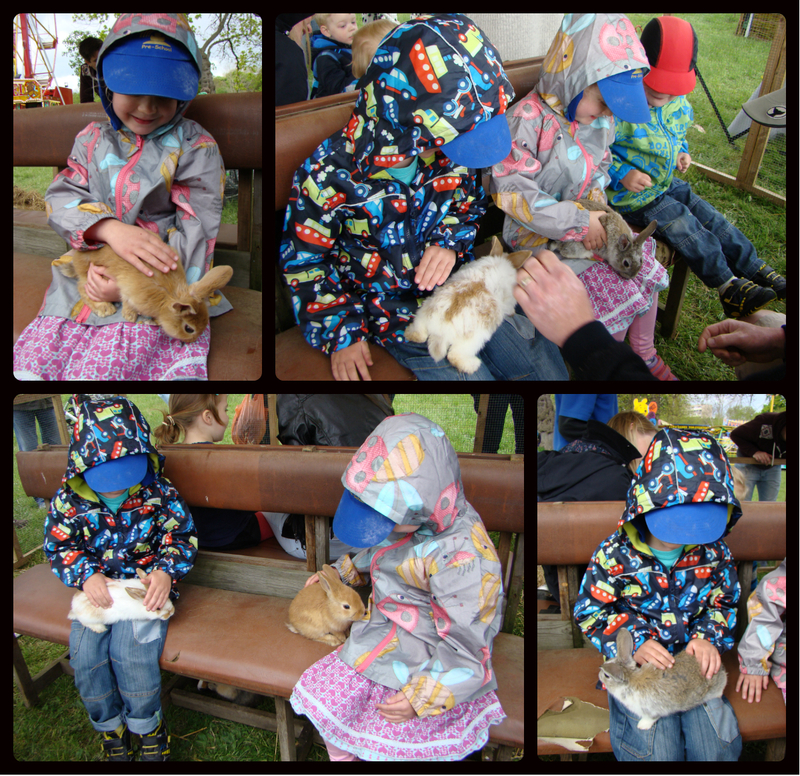 Rabbits are a favourite with all of us, me and Gordon included, so we spent a long time with the rabbits. They are so cute! 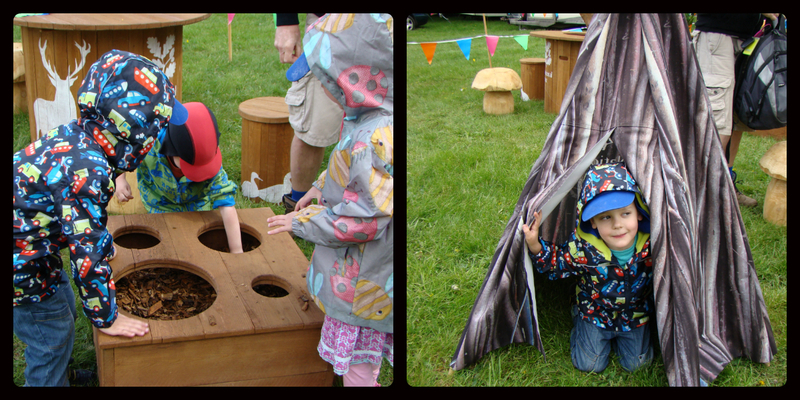 After the rabbits there was just time to nip into the National Trust bit and pick up our new 50 Things booklets and hunt for some treasure. And then it was time to leave because , as I said above, we had run out of cash. The crazy reason for this was because we bought Ice Creams, 5 of then at £3 each! £3 for an Ice Cream! See, crazy! I have read on a local site on Facebook this evening that our entry ticket to the Fayre today allows us entry all weekend and I really hope this is true. I’d love to go back on Monday and meet up with some friends that are going, and let the kids go on a few more of the paid attractions now I know not to buy Ice Creams! 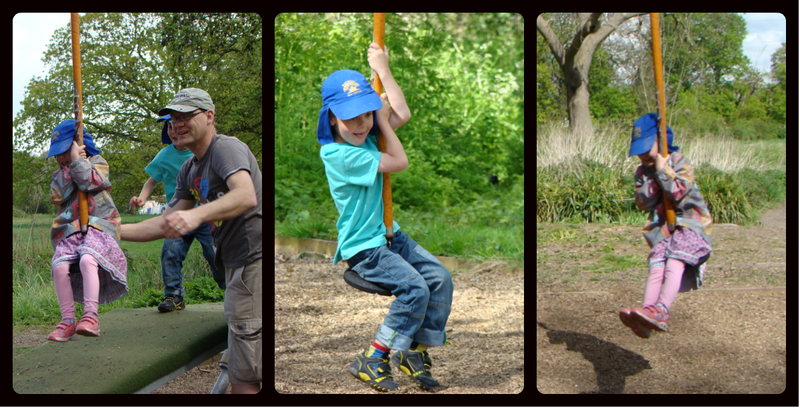 Once we’d left the Fayre, there was just time for a few turns on the Zip Wire in the Natural Play Area before we headed home.